Facebook Meme Chat Emoticons Bar v3! 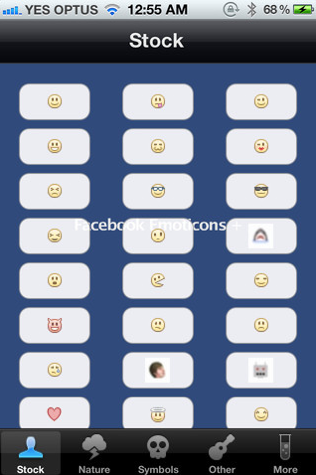 Today Taher Sellami released the Facebook Meme Chat Emoticons Bar v3 (using the sourcecode from the first extension by “Le Boss“) with all new pictures that fixes those who went dead or corrupt in v2! 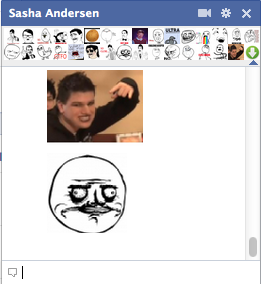 Animated pictures in the Facebook Chat! 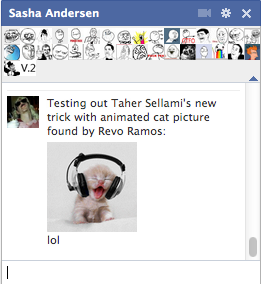 Today Taher Sellami showed me a new trick that allows us to post animated pictures in tha facebook chat! 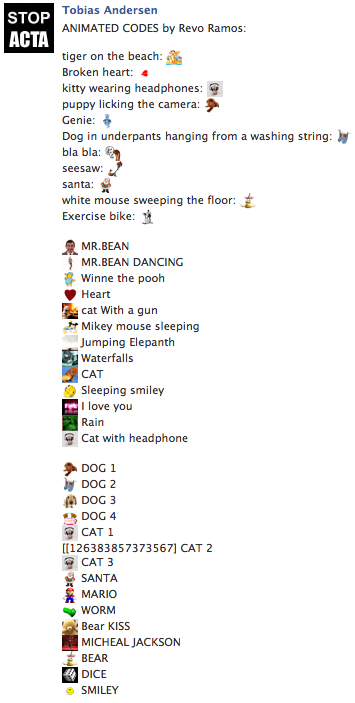 Josh Bitossi, a young developer from Austraila has made the first ever chat-codes related app for iPhone/iPad/iPod! You may remember the text-generator by Lars Arne Svanes? Chat Codes Generator For Sale! 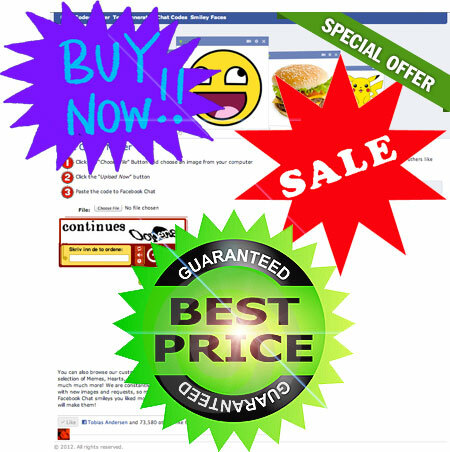 Kirill Shulman has decided to sell the chat codes generator http://smileyti.me/ for $15,000. 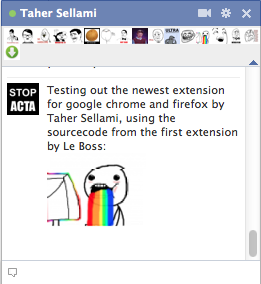 The extension produced by Taher Sellami (using the sourcecode from the first extension by “Le Boss“) has finally been updated! Extension with memes voted on by the users! 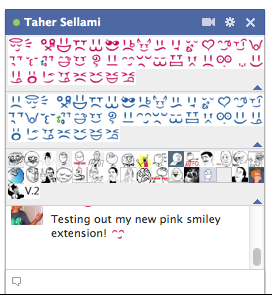 Today, Taher Sellami decided to use the sourcecode from the extension by “Le Boss” to make a new extension for a new set of PINK smileys! The picture to the right shows all the three extensions that are available right now, the download link is for the Pink smiley extension ONLY. If you just want one or two extensions, just disable or uninstall them. 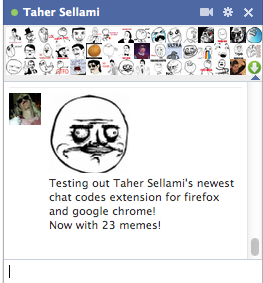 After Taher Sellami sent me some new smileys yesterday, “You Mad” aka. 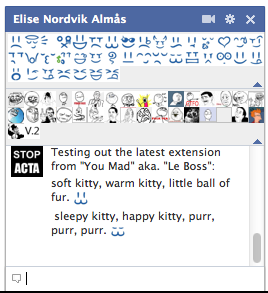 “Le Boss” made this new extension!